Those are great suggestions. I am thinking what to drop/remove for those, though. Any thoughts? 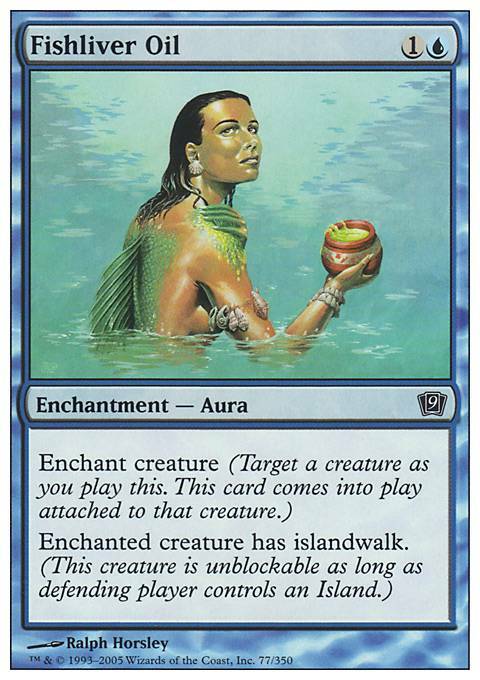 Also, Merfolk Raiders and Fishliver Oil may be necessary. 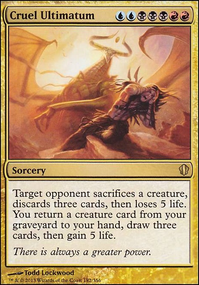 Also, I just realized that your deck is 63 cards. I'd strongly recommend going down to 60 cards. I'd probably remove Fishliver Oil, Savage Silhouette, and Fleetfeather Cockatrice, plus whatever else you want to take out if you want to add some of the cards I suggested. Demasko on THERE'S ALWAYS A BIGGER FISH!! I have a few suggestions for you. 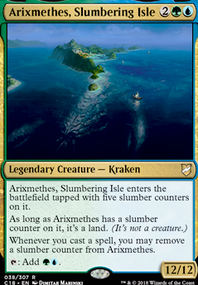 First if you are going to run Jhoira you will want to make the best out of her ability and to do that you need some time manipulation such as Rift Elemental, Jhoira's Timebug, Fury Charm. 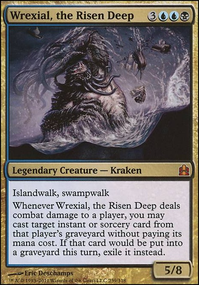 Then you will want a few cards that can give you value off of either her effect or the effects of your time counter manipulation such as Arc Blade, Reality Strobe, Greater Gargadon, and Deep-Sea Kraken. As far as cuts you could make Chameleon Spirit, Archive Trap, Cytoplast Manipulator, Curse of Inertia, Fishliver Oil, Ghostly Touch. All of these cards seem a little slow and clunky in this deck especially Fishliver oil. And they would all make a good option to cut. kalko on Hakim, who need Zur? Viscerid Armor I don't see why to play this, +1+1 is really not enough to guarantee a slot. 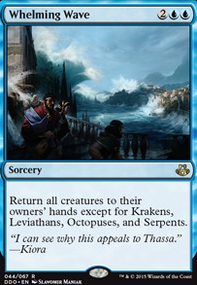 I like to have some fatties in almost any deck in EDH some I recommend for mono blue are :Frost Titan, Lorthos, the Tidemaker and Inkwell Leviathan are some I'd use. 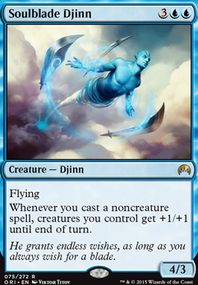 Palinchron is a really good creature for combos as it combos with a lot of cards, some of wich are good by themselves (High Tide, Tolarian Academy, Nykthos, Shrine to Nyx).